A remarkably crafted Victorian-inspired ring to add to your jewelry collection. 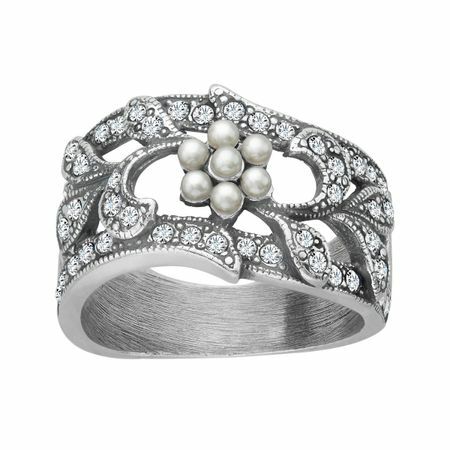 This Van Kempen sterling silver ring features exquisite simulated shell pearls and Swarovski crystals. Ring face measures 1/2 inches in width. Ring is a size 7.